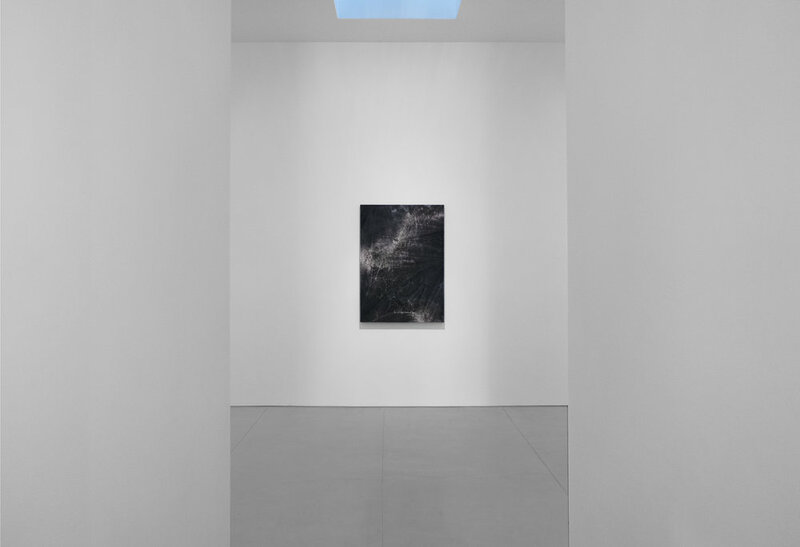 Peter Blake Gallery presents Cole Sternberg’s solo exhibition, the blue water was only a heavier and darker air, featuring the largest volume of Sternberg’s environmental paintings shown together to date. Underwater, the glow of the sun is welcoming. As it fractures into rays and fades into the deep, the dreamy expectations become tempered. There is inherent conflict, as the danger lies above. Only as the horizon curves, unobstructed by the passersby, do the water and air merge in confident display of their dominance. Cole Sternberg’s paintings live in this realm of environmental known and unknown. 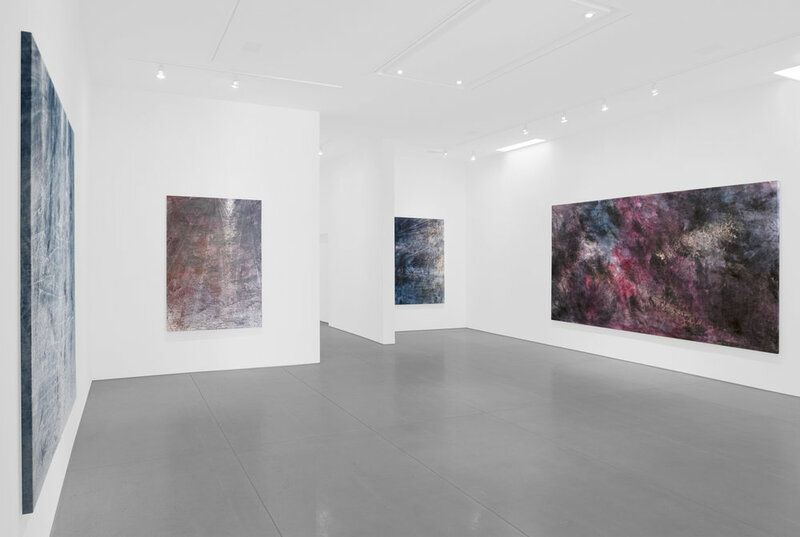 In their process, the layered paintings are left exposed to an unencumbered environment. They face rain, wind and the harsh sun without shelter. The earth beneath textures each piece, perhaps as an attempt at camouflage. While they are weathered and partially erased by the environment, hand-manipulated processes simultaneously create movements akin to brush strokes. The cycle continues as the paintings are dragged in the water behind vessels of all kinds and thrown back to the land for the process to begin again. The industrial aggressiveness of a steel vessel is no match for the endless blue. Meanwhile, Sternberg’s paintings drag in the sea and flap in the wind. 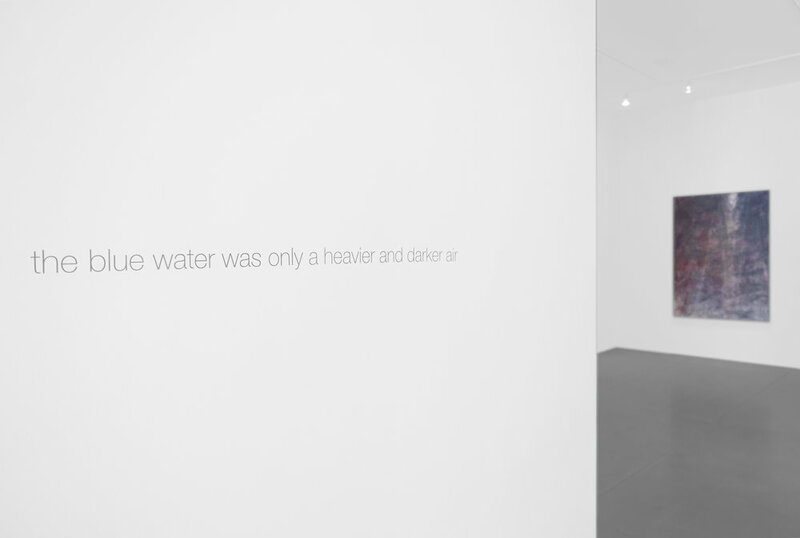 The exhibition runs until May 5, 2019.